The Copt Hill Ward is the area I was born, bred and have roots in and it’s a privilege to be able to be a candidate in the upcoming local elections. 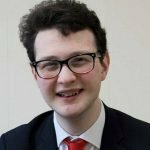 I am a local lad and I have campaigned in our area for the past three years, listening to residents’ concerns, and supporting on a number of issues. I was very much involved in the campaign to ‘keep Copt Hill tidy’, something that continues to run. I’m not afraid to stand up and act on the issues that matter to me and residents of the area. I will continue to work for residents on the concerns they raise and we will continue to make positive changes in our community.